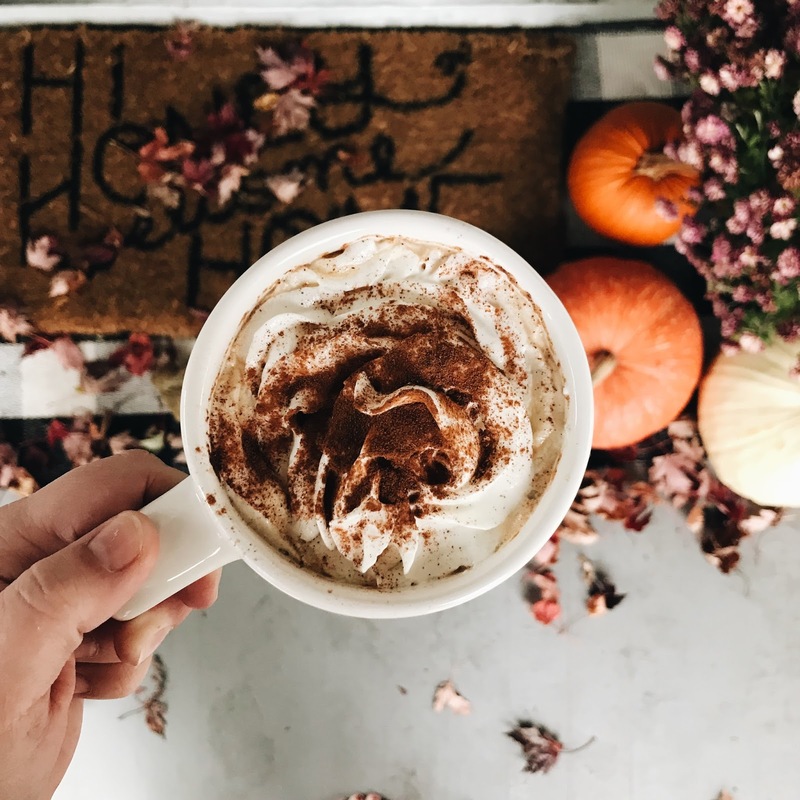 It's no secret that I'm a huge fan of a good pumpkin latte. 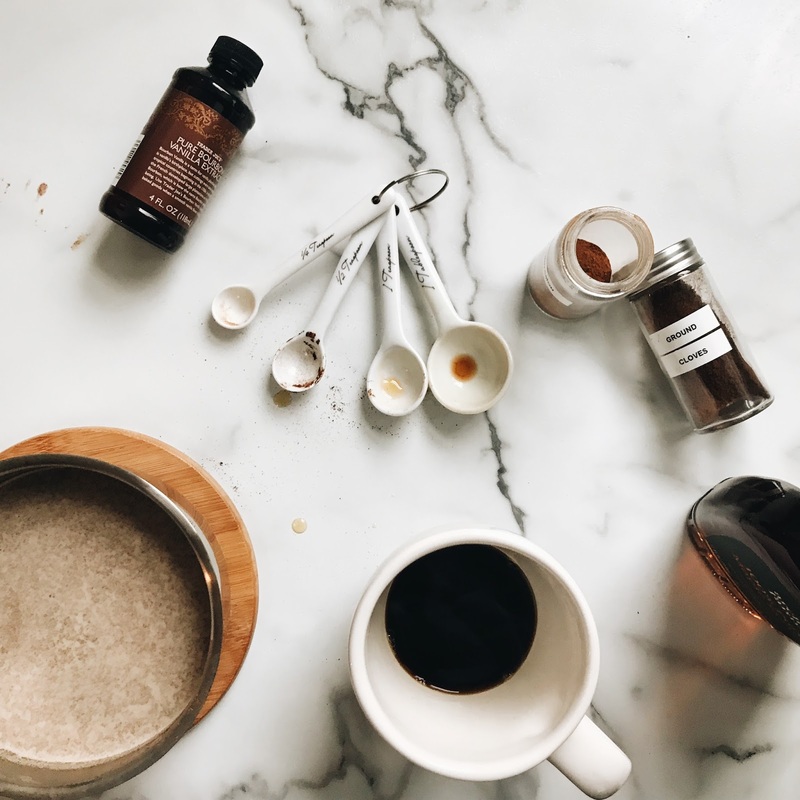 Oftentimes at home I'll brew a cup of pumpkin flavored coffee and mix with a simple caramel syrup and some milk for a pumpkiny treat. 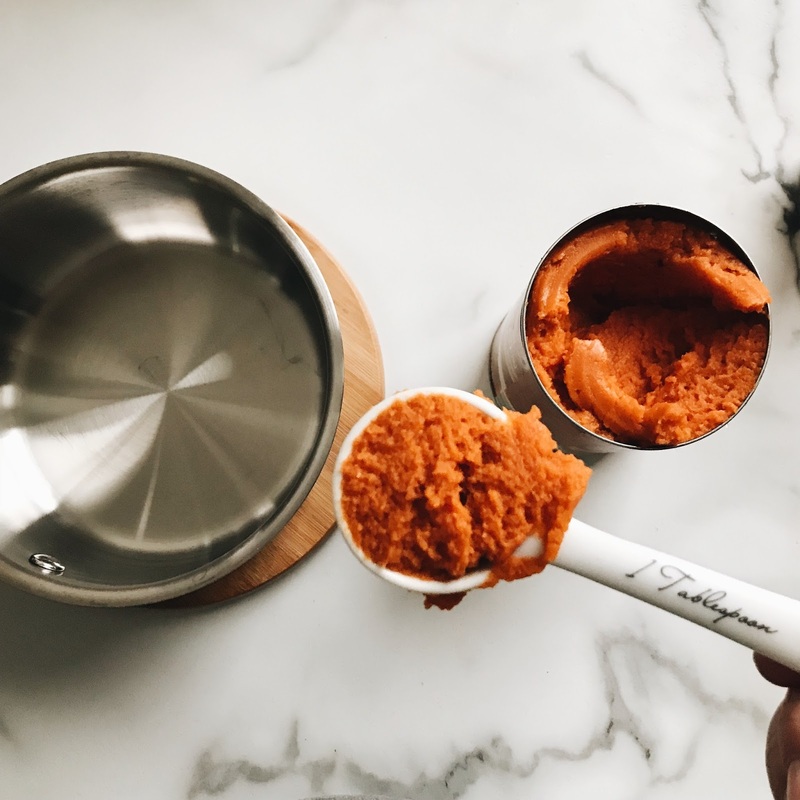 But if I have a little extra time on the weekends, I love to whip up a batch of this maple pumpkin mixture and add it to my pumpkin brew, topped with whipped cream for a seriously delicious fall treat. 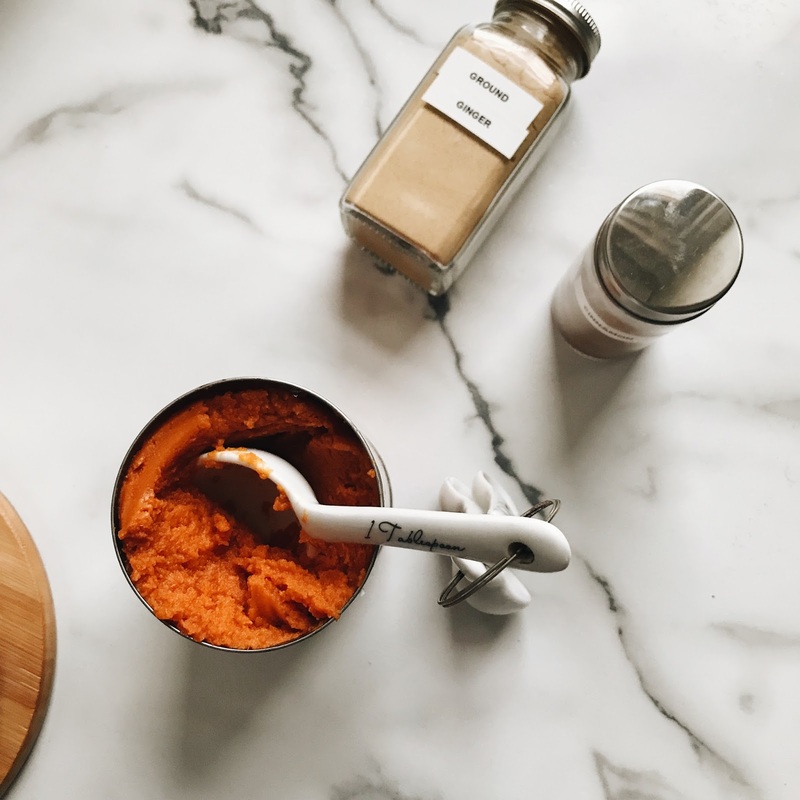 In a small saucepan, whisk together two to three tablespoons of pumpkin puree, a tablespoon of pure maple syrup, one tablespoon of vanilla extract, 1 teaspoon cinnamon, 1 teaspoon ginger, 1/2 teaspoon cloves, 1/2 teaspoon nutmeg and two cups of milk or half & half. 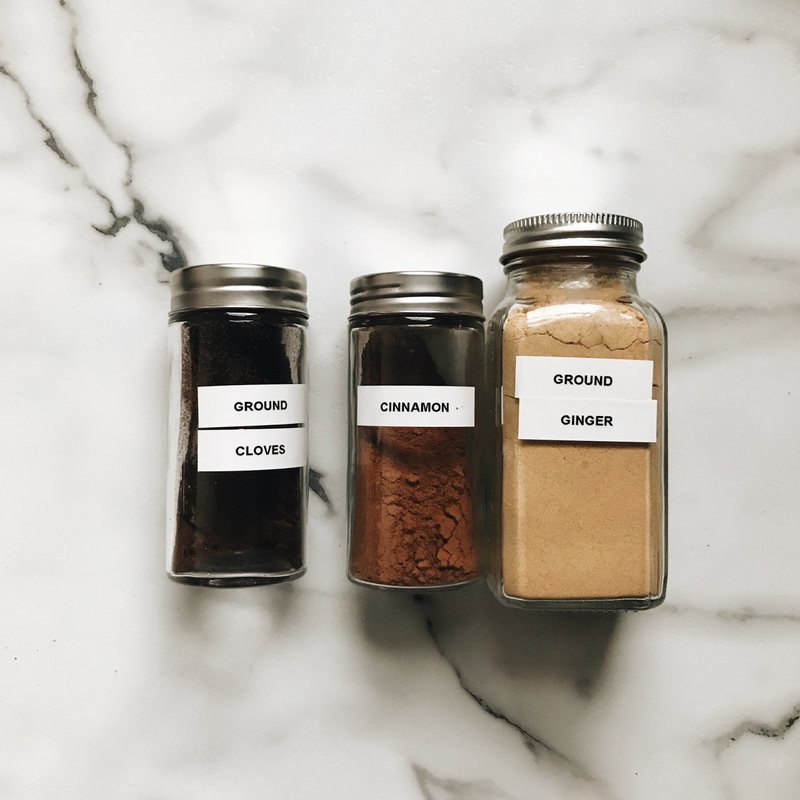 Heat until warm, while whisking continuously, but be sure not to let it boil. And be sure to whisk thoroughly so that it is smooth and not lumpy. If I'm feeling extra fancy, I'll pour some into my Ninja frother too. 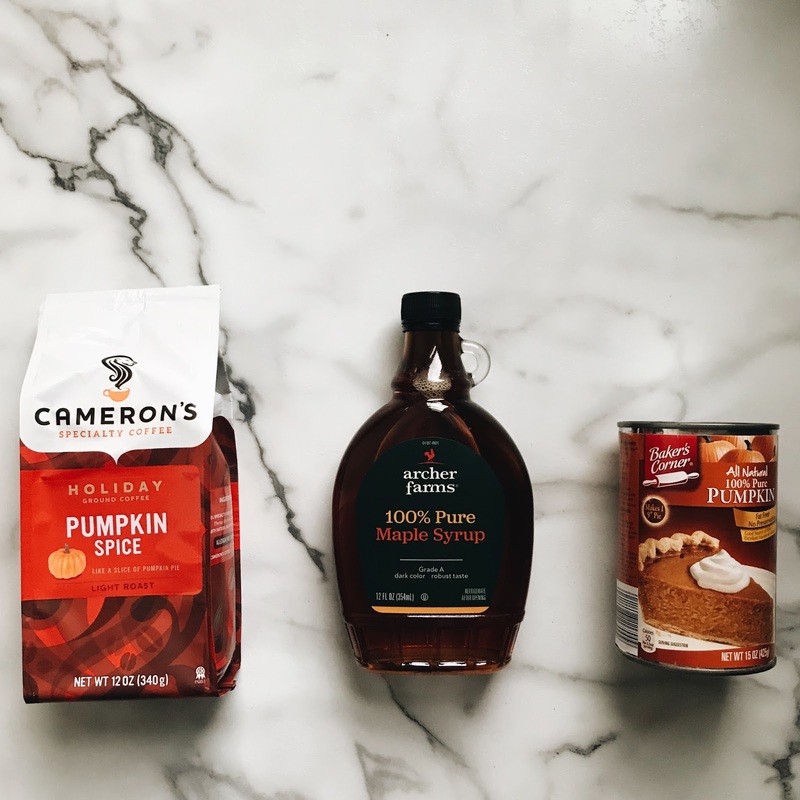 Meanwhile, brew your favorite coffee blend, I love Cameron Coffee's Pumpkin Spice blend. 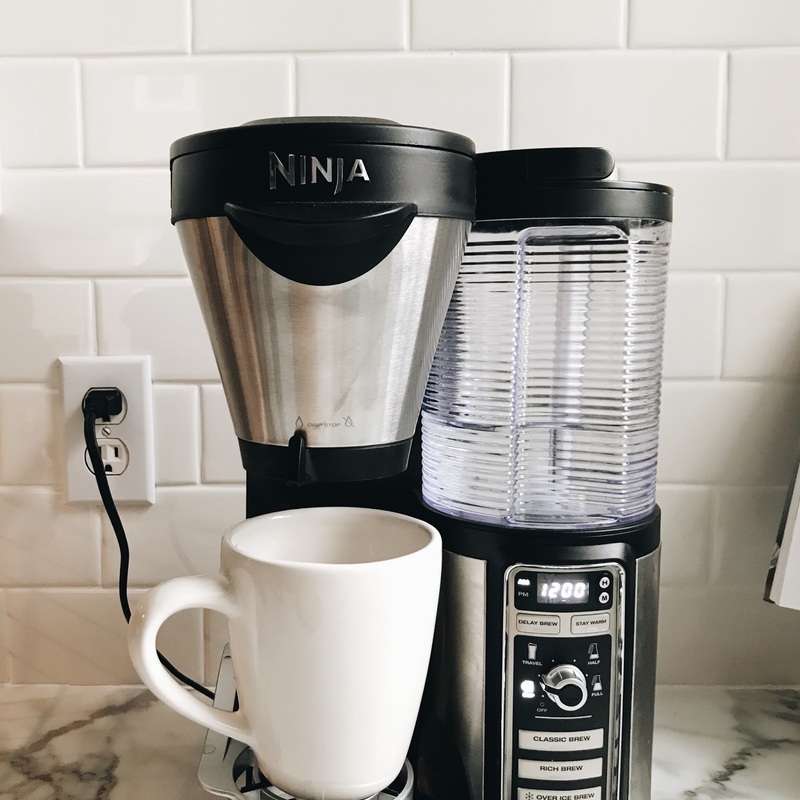 I use my Ninja Coffee Bar to brew one cup in Specialty mode so that the coffee is more concentrated. 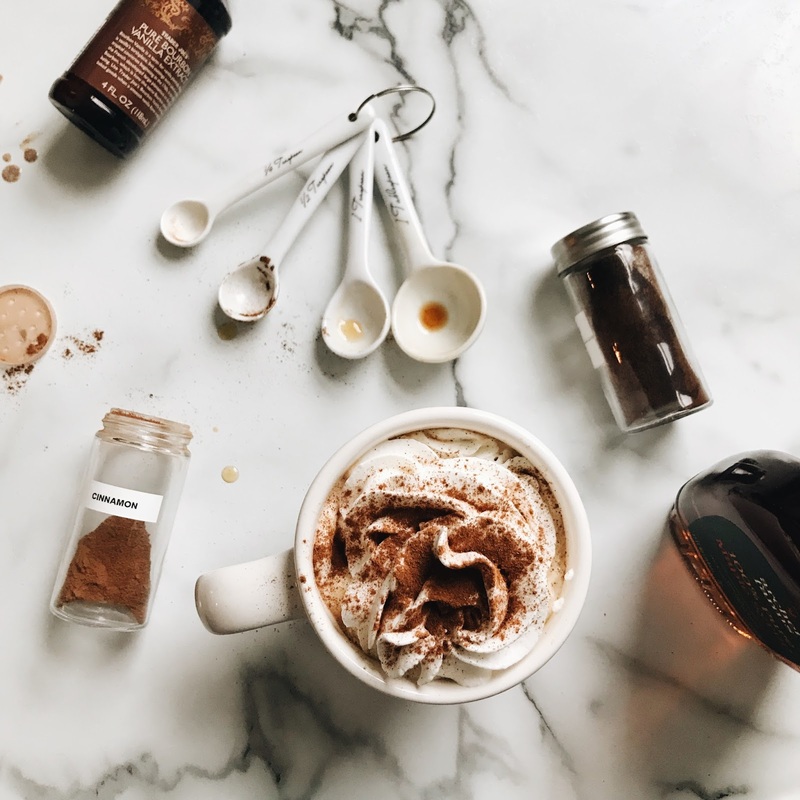 Fill your cup about halfway with the coffee and fill the rest with your maple pumpkin mixture. Top with whipped cream and a sprinkle of cinnamon if desired. And voila! Go cozy up on the sofa with a comfy blanket, some wool socks and a good candle. Or bundle up and enjoy the brisk air, pumpkins and colorful mums. Or at the very least gulp down as much as possible before your kids demand your full attention again.